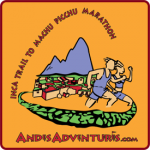 The Original Inca Trail Marathon to Machu Picchu. “Most difficult Marathon in the World. Three mountain passes and the finish at the legendary “Lost city of the Incas” – Machu Picchu! 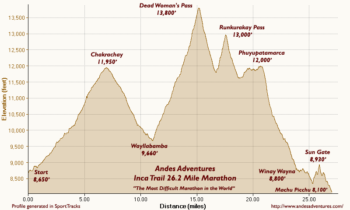 The Andes Adventures June 2018 Original Inca Trail Marathon, will be the 23rd Year Anniversary and the 41st running event that we have organized on the Inca Trail. Our first Inca Trail Marathon to Machu Picchu was offered in 1996. Benefit from our 23 years of Inca Trail Running events experience. We pioneered Running events in South America. Make this your South America marathon – the most spectacular marathon you will ever run.